Smoke Canyon smokes and roasts their jalapeño peppers over Missouri hardwood, combining them with seasonings and spices to bring us a truly unique hot sauce. The gourmet quality and flavor of this hot sauce is remarkable. Update: 08/30/12 – SmokeCanyon.com is live and taking orders! I am a sucker for a good jalapeño hot sauce – not the simple green stuff – give me the red jalapeño, the roasted jalapeño, the smokey chipotle versions (chipotles are simply smoked jalapeños, usually found in canned adobo sauce). Yea, that’s the kind of jalapeño guy I am. Established in 2009, I have no idea why Smoke Canyon has been under the radar for this long! Recently reviewed on ScottRobertsWeb.com, I can tell you that upon reading Scott’s review, I promptly set out to email Jay Abbey of Smoke Canyon, to purchase a few bottles for myself. A quick PayPal transaction later and the bottles arrived here at the HotSauceDaily household within days. Let’s get into the review. – One of our few 5 star ratings for packaging. This is your typical 5 ounce bottle, but the label gets kudos for design. Based on a simple 4 or 5 color scheme, it’s very classy. Unique fonts, simple chile pepper graphics, and the inclusion of “Jay-Bird”, a character that “tweets” (pardon the pun) statements about the veracity of this sauce, all bring about a confident and simple presentation of a gourmet sauce. And the word “Gourmet” is prominently pasted in the middle of the label. Definitely not an afterthought, as this sauce is of a gourmet quality. Jay-Bird on the label is cool… even with one eye. – Jalapeño and smoke. No hint of fake liquid smoke, but the hardwood scent is there. It smells like smoked peppers right off the grill… a mashup of jalapeño heat and dark smokey aftertones. 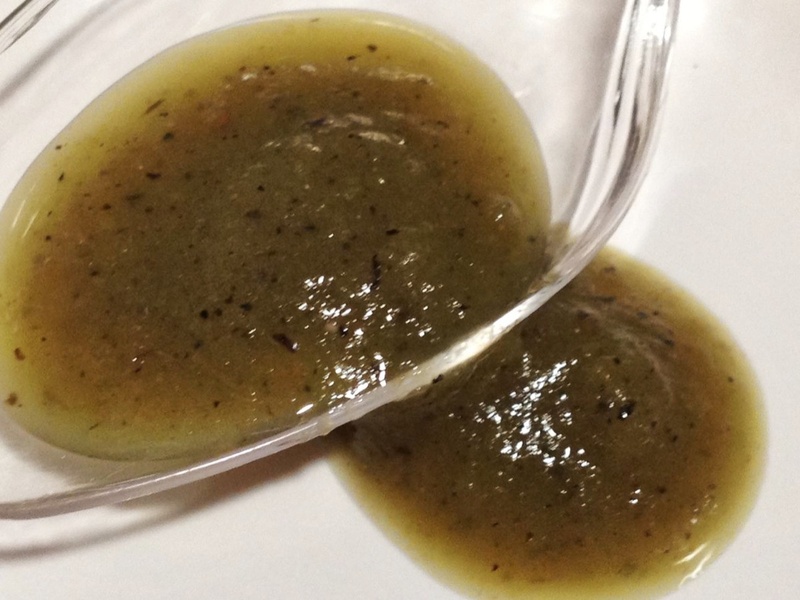 – This bright green sauce has a medium texture, with bits and flecks of spices. You would think the first specks you see are black pepper, but that flavor is absent… those are probably the “selected herbs and spices” along with some very small bits of herbs that show up in the bottom of the spoon. Nice and pulpy – think applesauce, without the apples. It is medium-thick. – The heat hits my tongue and moves down the throat quickly as I swallow… it’s deep, dark, and pungent – lot’s of dark undertones, and a pretty big hit of the smokey jalapeño pepper. I will sheepishly admit, as I write this, I took another big spoonful to taste, and got a short, little case of the hiccups! Amazing for a jalapeño sauce to deliver that. Sheer genius in this recipe – it does not disappoint. On Food: I’m thinking green chile burger sliders, nachos, pizza, eggs. Anything you’d put real jalapeño slices on would be a great use of this sauce. I made a quick and simple nachos plate with chips, cheese, and “fresh” salsa in a tub from our produce department, and the Smoke Canyon sauce rocked on this midday snack! Final Thoughts: Smoke Canyon Smoke Roasted Jalapeño Sauce is probably the best jalapeño based hot sauce I’ve ever had. This is one of the few times Scott Roberts and I can agree on a flavor profile. 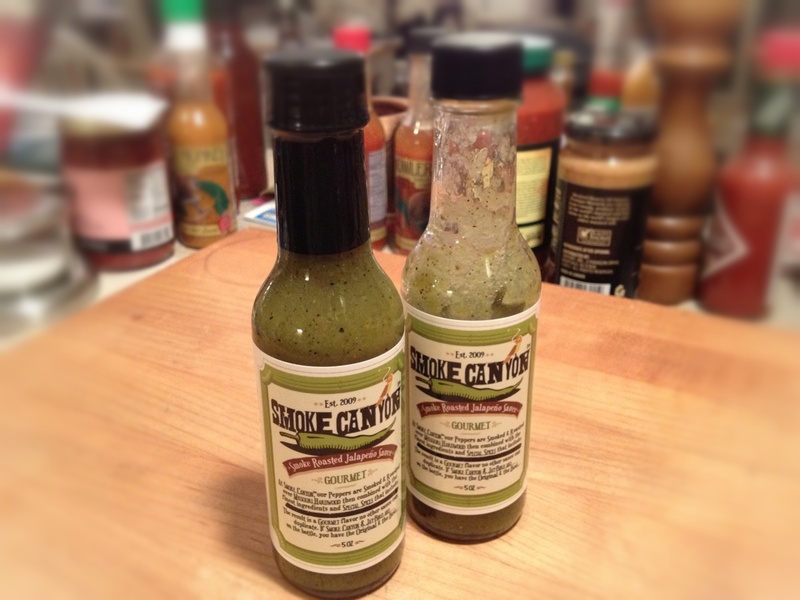 For overall taste and quality, Smoke Canyon is poised to be a huge hit in the hot sauce market. – Our highest rating overall. 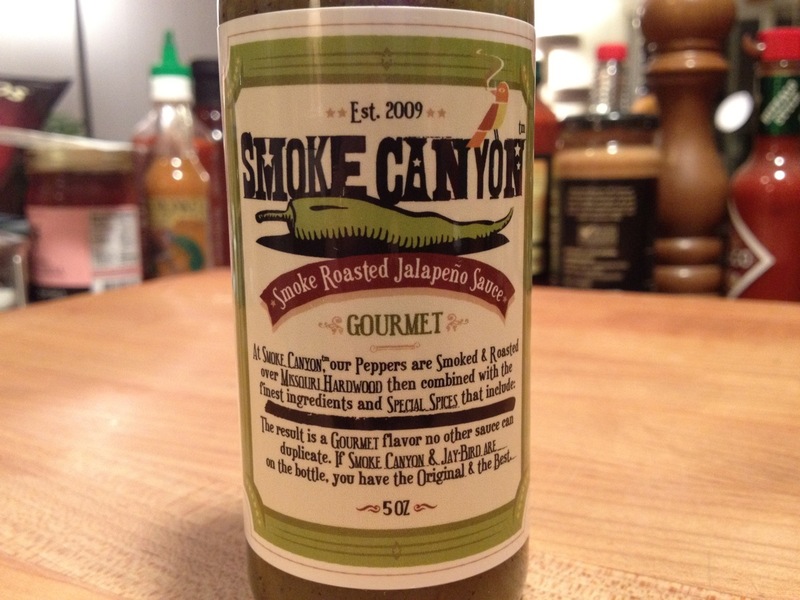 Smoke Canyon Smoke Roasted Jalapeño Sauce is one of the best jalapeño sauces we’ve had this year. You’ll find Jay-Bird and his Smoke Roasted Jalapeño Sauce over at http://smokecanyon.com or you can order a couple of bottles by emailing him at [email protected] and tell him what you want. Get 2 or 3 bottles, you’ll love it that much and they will go fast! Tell him Brian from HotSauceDaily.com sent you! I love the bird sitting on the Jalapeño. Very nice looking sauce! Yes, Jay-Bird is a nice touch. As you can tell, I love the design. Okay you made me want to try it Brian. Superb stuff. One of the best of the year! Great review, Brian. I agree my friend. You were spot on with this one! Thanks Brian for that awesome review. I appreciate you taking the time to do it. The attention that Smoke Canyon is getting from the reviews that you and Scott Roberts have done is overwhelming. We are a small company with a big sauce, thanks to people like you and Scott. “Small company with a big sauce…” Sounds like a great tagline to me! Jay-Bird you rock, and we wish you all the best. Hands down this is my favorite sauce on….well, everything! A friend got me hooked on it. I wish more places than the Wine and Cheese Place carried it but it’s a good reason to go in there. Thanks!!! Your friend is very wise! Love the SC review and kind words about the labeling. Full disclosure, I’m Jay’s brother. A freelance graphic designer/brand creator/imagineer that collaborated with Jay to create the labeling. The Jay-Bird character came from our late father’s nickname for Jay. As far as the sauce, it is wonderful! I receive some amazing responses from people who’ve tried it. If you will allow, it is available at all Wine & Cheese locations in St. Louis. They’ve been very kind to SC. Here’s to you and SC and my hope that some day, Jay’s passion will be a great success beyond even “Jay-Bird’s” wildest imagination. Hey Gene, thanks for the nice words about the review. Jay really has a great product, and you deserve all the kudos for the graphic design! Nice job. Looking forward to the website going live. And also, to what else Jay will be concocting in the near future (wink). Great review and a great sauce! Fortunately for me I am in Saint Louis and can pick it up locally at the aforementioned Wine and Cheese shops. Nice, Tim. Thanks for commenting! Must have this! 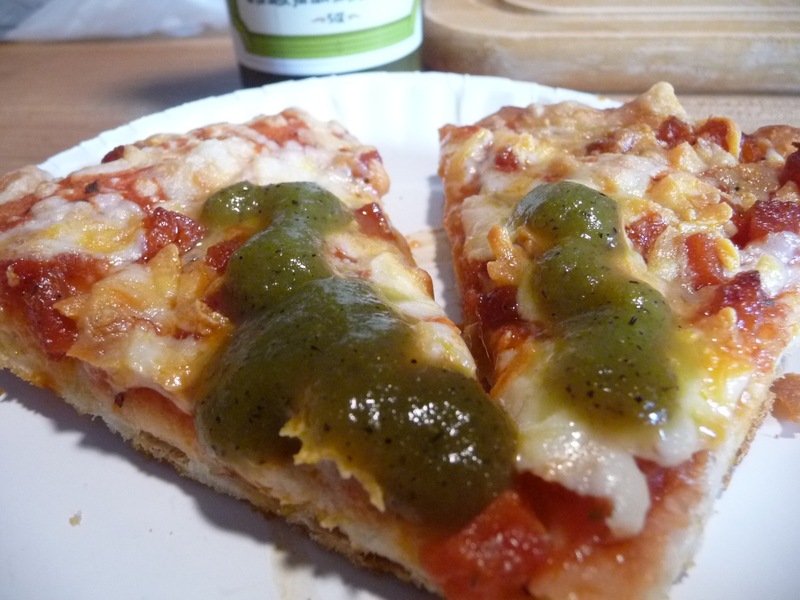 It sounds even better than Fire Ant Bite, which has been my favorite jalapeno sauce. I have been trying to get my hands on some of this! Unfortunately the site is under construction…so I sent him an email and am waiting to hear back, I hope to get some soon. This sauce sounds so good, great review. I can’t wait to try it. Jay’s pretty good at getting back to you for an order. For now, email is the only way to order it. Get a couple, it’s that good. Thanks! I actually just heard back! I’m looking forward to trying it out. That’s great that a full blown site will be up, I’ll definitely check it out when it’s up and running. I’m looking forward to it. I’ll let you know, Liz. 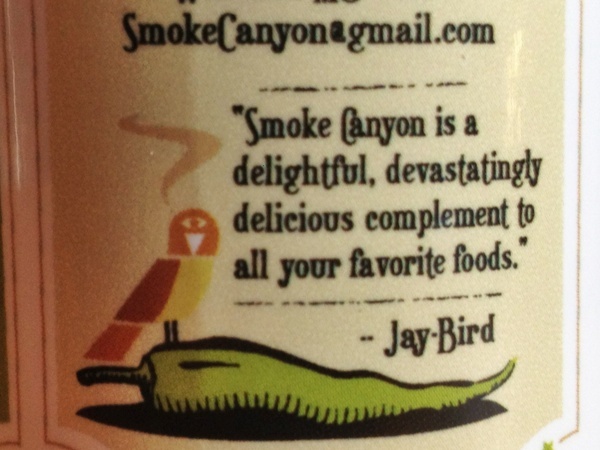 Jay-Bird may poop on my head but the full-blown Smoke Canyon website is rumored to be going live in a matter of days. That rumor is true, Jay-Bird is perched on top of Smoke Canyon watching for the day Smoke Canyon’s Web-Site goes live. Brian Meagher and Scott Roberts will be the first to be informed of that day. This looks really really REALLY good. I have to get a bottle of this. You’ll want more than one, Steve. It’s very tasty and goes fast!